In collaboration with ASME E-Fest West, Cal Poly Pomona and Discovery Cube. STEA2M Fair: Extreme STEA2M, Extreme Fun – an experiential event at Fairplex designed to inspire students from grades K-12 to explore and pursue learning and careers in the areas of STEA2M. What do Albert Einstein and Stan Lee have in common? They were both full of STEA2M! Join the legions of current and future scientists, artists and techies who deep-dive into data and design and visit STEA2M Fair: Extreme STEA2M, Extreme Fun. Enjoy a fun-filled day chock full of hands-on activities that include connecting with live , and some not-so-live (robots, not zombies! ), experts from the American Society of Mechanical Engineers (ASME), Cal Poly Pomona and the Discovery Cube. Into gaming? We got that. Into coding? We got that. How about learning how to grow your favorite vegetable? We got that, too! STEA2M knows no bounds! And neither will you when you leave, excited to further explore the discoveries and ideas behind science, technology, engineering, art, agriculture and mathematics. Interested in Vounteering for STEA 2 M Fair? 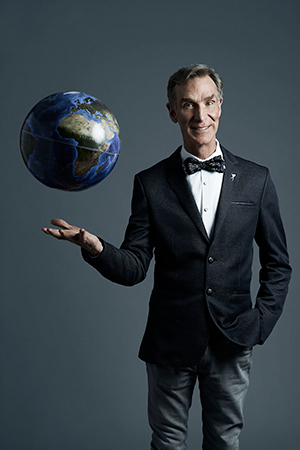 Famed scientist Bill Nye will be a special guest at STEA2M Fair: Extreme STEA2M. Extreme Fun. – Fairplex’s celebration of all things science, technology, engineering, art, agriculture and math. Bill Nye, scientist, engineer, comedian, author and inventor, is a man with a mission: to help foster a scientifically literate society, to help people everywhere understand and appreciate the science that makes our world work. Making science entertaining and accessible is something Bill has been doing most of his life. Join Bill at the Planetary Stage on Saturday, March 16th from 11 a.m. to 12 p.m. or 1 to 4 p.m.
Click the map for a larger image of the map. Even though this event is FREE, registration is required. STEA2M Fair will be taking over various parts of the campus including buildings 7 and 10. Parking for this event will be at GATE 9 for FRIDAY and GATE 9 or 17 for SATURDAY. Click here for directions to parking lot. Interested in being a sponsor or exhibitor? Click here.